Course Evaluation Day. Finally I Have My Revenge! View image at full size, 510 × 510No Comments on Course Evaluation Day. Finally I Have My Revenge! 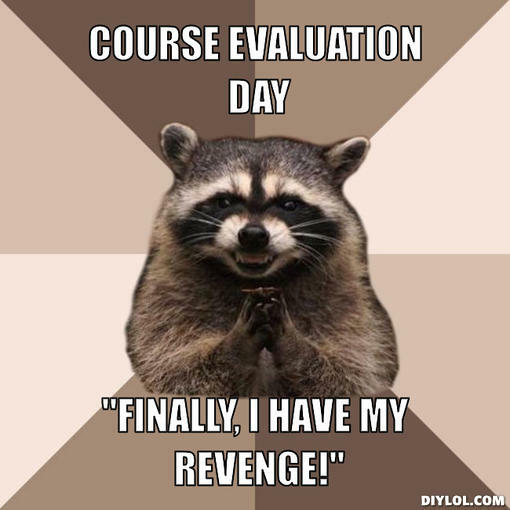 Meme showing a raccoon rubbing its hands together with the text, Course Evaluation Day. Finally I Have My Revenge!